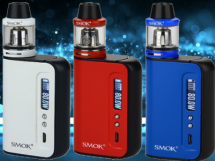 If you’re looking for help navigating the SMOK G-Priv Mod, trying to figure out the touch screen options or just looking for an all-inclusive guide that can show you how it works without having to trawl the internet, we have you covered. 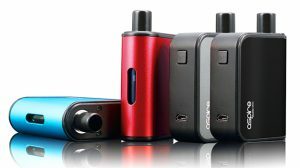 A close cousin to the SMOK Alien Kit –or more accurately a SMOK Alien on steroids– the G-Priv Mod has been slow on the uptake, but now the market for them is exploding. While 220 watts and amazing temperature control from a dual 18650 set-up has become the new industry standard, there are few mods out there that can measure up to this miniature beast. The massive touch screen is a turnoff for some people, especially those who have gone through 18 cell-phones since 2012, but it has some serious advantages. 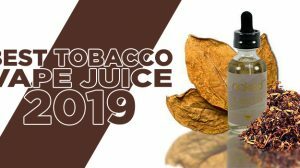 Operating menu systems has become second nature to some vapers, but for some an overly complex system can result in a mod being passed up for something simpler. The G-Priv comes with an instruction manual, but we can guarantee that most of them will end up in the trash –show me a guy who actually reads the instructions, let alone keeps them– so we decided to put together a concise post that makes this simple device even simpler to use. 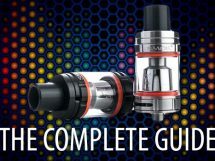 If you like this guide, feel free to check our our complete guide to the SMOK Alien Mod, our complete guide to the SMOK G-Priv, and our complete guide to the SMOK OSUB Plus Kit. 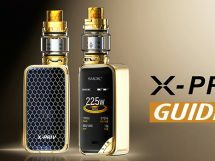 If you’re looking for guides on the latest products released by SMOK, we recently published the complete guide to the SMOK X-Priv Mod and a guide to the SMOK T-Priv Mod. The G-Priv Mod manufactured by SMOK (Shenzhen IVPS Technology Co., Ltd) and behind its unassuming outer shell lies a beast that puts its award-winning family members to shame. Its simplistic outer shell feels bigger in the hand than the Alien, measuring in at 85mm tall by 58.5mm wide by 28mm deep, but with a 2.4 inch touch screen, we can forgive its bulkiness. Rather than a shotgun style battery door, the carbon fiber lined back cover is removed to expose the battery bay, which houses two High Amp 18650 batteries (sold separately) wired in series give power, poise and precise control to the user, whether that be firing in wattage mode or heating up Stainless Steel coils in TCR mode. If you enjoy regulated vaping devices, you will love the simplicity of the G-Priv. While some of us still prefer the raw power of simple wattage mode, temp control has some advantages. You can generally run coils at lower resistance — in this case down to 0.06Ω for Nickel (Ni), Titanium (Ti), and Stainless Steel (SS) — and find a sweet spot between 200-600°F to ensure you never get a dry hit again. 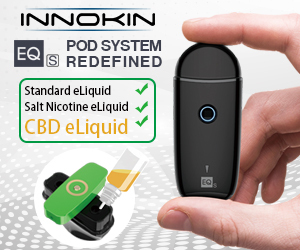 Up to this point, we have downplayed the importance of that 2.4 inch touchscreen, but for those vapers that have become sick and tired of playing the 3 clicks and hope you hit the right menu option game, this thing is a life saver. Constructed from shatterproof glass, the G-Priv screen has been developed to last. Intuitive design and simple screen options make the G-Priv a delight to use, while a simple locking button above the oversized firing button make it easy to prevent people like myself from accidentally turning the wattage up to 220 and burning our faces off. 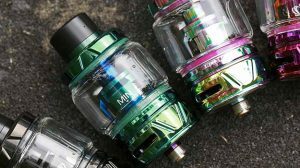 If you are familiar with SMOK products, you will know that they have predetermined ramp settings, from soft to max which can reduce or increase the heating time for the coils depending on your own preference. what the coil of G Prive is SS ? and how the value of TCR for best flavor ? You may have to go in and change the puff limit. It’s probably set to 500. Ok, looked on the box and never found any 16 digit number. There’s a model number, serial number, code and 2 qr codes. No 16 digit numbers anywhere. May be on the scratch and check sticker. I don’t know if you fixed it but I know if you click the side button 3 times to lock the screen then click it 3 times and hold it down on the third click it will bring you to the OHMS level! My priv 2 doesn’t have a settings menu????? This guide is for the original G-Priv, not G-Priv 2. Will this work with the smok cloud beast tank? So is there a guide to cleaning and maintaining? How do I change the time from military time to standard? hey i just got the g-prive 2 lux but im not sure on the best setting for the coil i got with it can you help ? Sure will. Both have a 510 connection. Help, I got my smok g-priv 2 230w from my son-in-law. Which I really thought it was so nice and I loved it. Didn’t have a cig since, until I got back home (they live in VA and I live in FL). Now, I’ve been trying to figure out why my vape smells burnt? Tried going to TCR but I can’t find where/what the correct number is supposed to be? Can anyone help? You’ve probably burnt the coil and need to replace it. If you’re using a coil head, you won’t need to use the TCR function. Find out if you’re using a Temperature Control coil or a regular kanthal coil. If you’re using a temperature control coil head, find out which wire it’s using, then go to your TC setting and choose the wire type you’re using. If it’s just a regular kanthal coil, stay in regular power/wattage mode and adjust the wattage appropriately. Thank you, already got it fixed. Today I felt that the vape wasn’t doing its job, so I had to smoke one cig? No! Find something that works and stick with it. 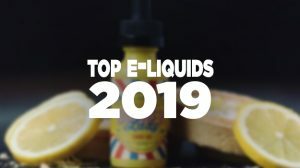 Here’s a great recommendation: Lost Vape Orion and Nicotine Salt E-Liquid.